This year’s event was a huge success with over 20 layouts displaying at the popular exhibition. 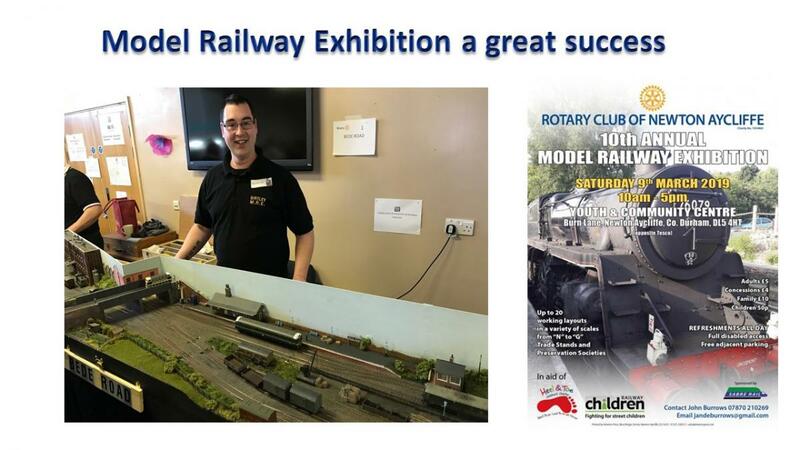 The trade were well represented with 10 stands selling new and pre-owned model railway items along with die-cast models, scenery, photographs and books. The exhibition was very popular with the public with both exhibition halls busy all day. Thanks to all the exhibitors, traders, Walkers Butchers & Bakers for the fantastic catering and everyone who helped on the day to make this a great charity fundraising event. Planning for next year’s Model Railway Exhibition has already started ! !